You'd better start Opera browser in Private Browsing Mode so that you need not clear browsing data like browsing history, download history, cookies, saved passwords and cache. 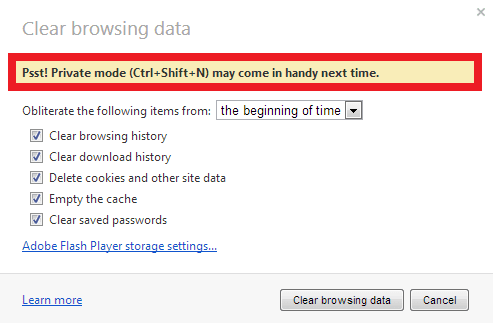 Private mode: To enter private browsing mode in Opera, just press "Ctrl+Shift+N". As soon as you close Opera private browsing tab, all the information connected with it will be erased.